Check out the famous wine region of Franciacorta, with its vineyards and its stunning scenery. You can sample award-winning wines, including the famous "Bollicine" and "Satin", while meeting some of the many winemakers who produce these wines. You'll be able to chat with the owners of vineyards and wineries. The tour includes wine tasting of various types of wines in a vineyard, a lunch accompanied with sparkling white wine and a friendly knowledgeable guide. At the end of the tasting you will have the opportunity to spend some time shopping in the outlet Franciacorta. This tour is for everyone from beginners to wine connoisseurs. 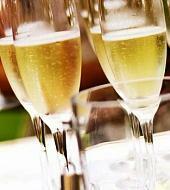 Leave Milan on a bus with air conditioning for a worldwide known wine destination, Franciacorta. Upon your arrival you will enjoy a light lunch of typical local products with a glass of bubbly white wine for a perfect pairing with the food. After lunch, your expert guide will lead you to one of the best vineyards of Franciacorta. Here you will taste many award-winning wines in the world and meet some of the real players in the industry. Since you will travel to a small vineyard boutique, you'll have plenty of time to talk with winemakers, and know how to produce such beautiful and famous wines. Spend almost 2 hours in the vineyard. There will also be plenty of time to stop for photos of the beautiful scenery of Franciacorta. At the end of the tour you'll spend some time shopping in the design outlet Franciacorta before your bus will take you back to Milan. 10:30 am, Milan Visitor Center: Largo Cairoli, 18 (MM1 Cairoli-MM2 Lanza). The tour ends at 6:30 pm at the point of departure.